Comment: I would like to get an estimate for I would like to replace my existing garage. It needs a foundation, siding, and a new roof. The foot print could be the same. 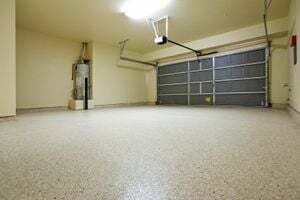 Comment: Looking for concrete flooring option for finished basement that is being converted. Comment: In ballard in Seattle WA. Would like a CoPlay or Pella door installed with a genie SilentMax door opener installed. We have a low overheard garage so it needs the low overhead extension kit installed. Comment: Need application of a self leveling compound as much as 1.5" in a kitchen, Living Room , Dining room remodel. Comment: Fixing my detached garage door. Seattle Garage & Garage Door Services are rated 4.78 out of 5 based on 1,842 reviews of 64 pros. Not Looking for Garage & Garage Doors Contractors in Seattle, WA?